Shipping lanes through the Arctic Ocean won't put the Suez and Panama canals out of business anytime soon, but global warming will make these frigid routes much more accessible than ever imagined by melting an unprecedented amount of sea ice during the late summer, new UCLA research shows. 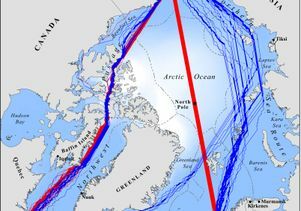 "The development is both exciting from an economic development point of view and worrisome in terms of safety, both for the Arctic environment and for the ships themselves," said lead researcher Laurence C. Smith, a professor of geography at UCLA. 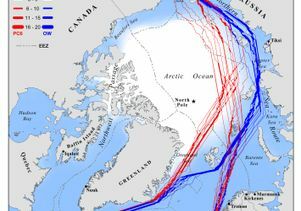 "We're talking about a future in which open-water vessels will, at least during some years, be able to navigate unescorted through the Arctic, which at the moment is inconceivable," said co-author Scott R. Stephenson, a Ph.D. candidate in the UCLA Department of Geography.